Tuesday and Wednesday Evenings, Cataloochee Ski Area, Maggie Valley North Carolina. Airboarding with instructor Kevin Yount from Face Level Industries - cost $59 for the 3 hour package and runs from 6:30pm-9:30pm includes airboard rental, 3 hour lift ticket, boots, helmet and instruction. Class size is limited to the first 8 folks to sign up and reservations are accepted, so get your friends and come on out! 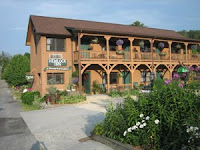 Hemlock Inn in downtown Blowing Rock North Carolina. Walk to restaurants, shops and festivals. Children welcome, Suites available, handicap room available, 18 units. $69 and up per night. WIRELESS. A variety of packages available year around. Family-owned & operated. January 28-31, Blowing Rock North Carolina. 12th Annual Winterfest Join the Village of Blowing Rock as we celebrate the fun side of winter at the 12th Annual Blowing Rock Winterfest! From the Chili Cook-Off to downtown hayrides, from the icy Polar Plunge to WinterFeast, there's something for all age groups at Blowing Rock Winterfest. Jan 24, Cataloochee Ski Area, Maggie Valley North Carolina.Snow Report: Rain is in the forecast for the day on Sunday, however colder temperatures should be moving back into area with a forecast for some snow for Monday and Tuesday and we plan to begin snowmaking again on Monday night. 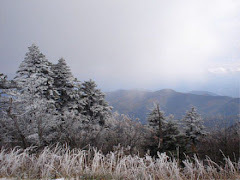 We ask Cataloochee guests to come prepared for wetter weather on Sunday but to remember there is plenty of winter on the way as we move into the coming week! Mondays** Junior's Day: All Juniors ages 13 and under ski for free. College Day:$25.00 lift ticket with a College ID. Tuesdays Half Price Tuesdays: All Adult Day and Adult Twilight tickets are half price. Wednesdays Bargain Wednesdays: All Adult Day and Adult Twilight tickets are $25 each. Thursdays Ladies Day: $20 Day and Twilight tickets for all females. School Daze $15 lift ticket and $15 ski rentals on snow days are available to teachers and students whose school is closed due to snow. Offer good for day session only. Excludes Christmas holidays, MLK and President’s Day. Military Discounts Discounted lift tickets to United States military personnel and their immediate family members. This discount is redeemed at any ticketing window. These discounts are available any time. Spring Fever Blowout Beginning Monday, March 9th, $20 Day and Twilight lift tickets, $10 Half-Day, and $10 Night lift tickets, seven days a week, until the end of the ski season. This will end all other mid-week specials and group rates except for Ladies Day which will still be recognized. **Beech Mountain Resort does not charge holiday rates on MLK Monday or President's Day Monday. The Junior's Day and College Day specials will not be in effect on those Mondays. The rates will be the regular advertised weekday rates for lift tickets and rental equipment. 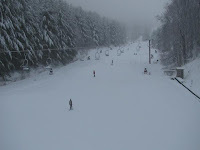 Jan16-18, Cataloochee Ski Area, Maggie Valley North Carolina. Both Saturday and Monday should be great days for skiing and riding although overcast on Saturday and yes, into every life a little rain must fall, this time late Saturday evening and moving through the area on Sunday. Forecasts indicate that this will be a quickly moving rain event and we have more than plenty of snow to provide you and you group some of the best skiing and riding in the southeast this weekend. Just come prepared for the possibility of rain coming through the area on Sunday and then back to clearer skies on Monday. Jan 17, Appalachian Ski Mountain, Blowing Rock North Carolina. Lower Membership rates go into effect Sunday, January 17th for skiers and riders considering a late purchase of an Appalachian Ski Mtn. Season Membership. From January 17th through January 31st, individual or family membership prices will be 20% off the regular season rate.